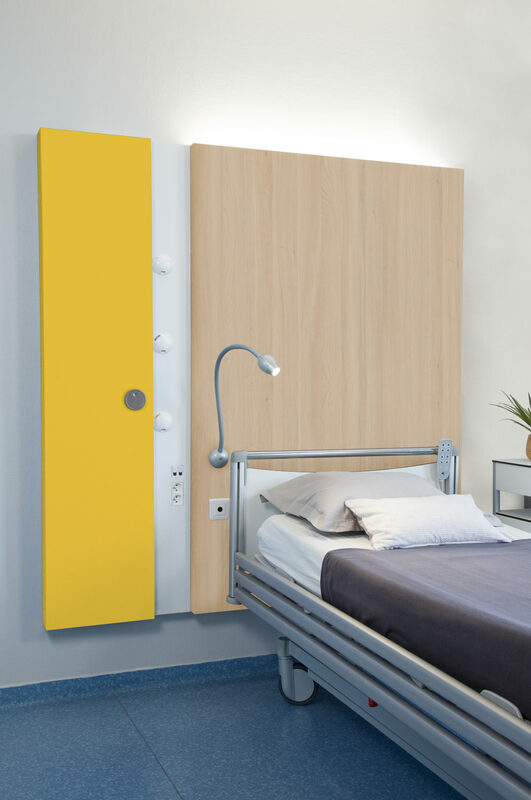 GOODWOOD MOVE architectural concept hides electrical equipment and medical gas outlets behind a sliding panel. 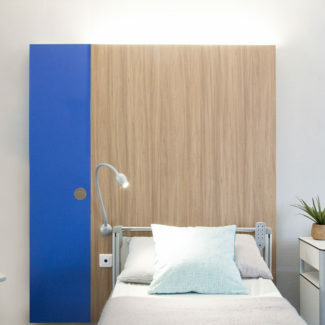 It brings a hotel dimension to the hospital room and contributes to the overall aesthetic of the room. 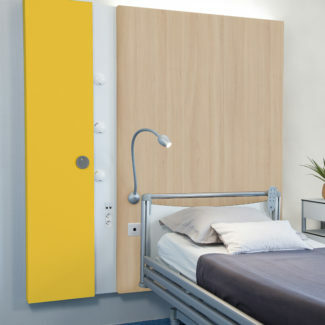 GOODWOOD MOVE’s panels are fully personalisable (colours, materials, decorative film) to match the decor of any room. 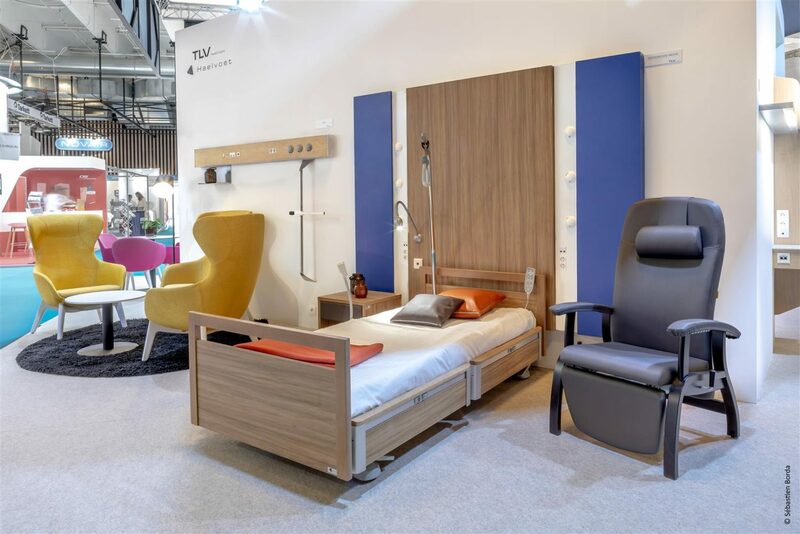 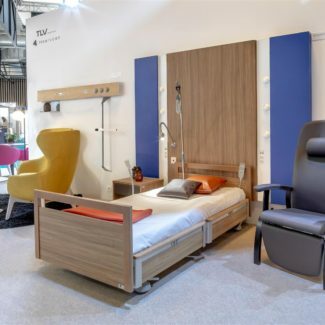 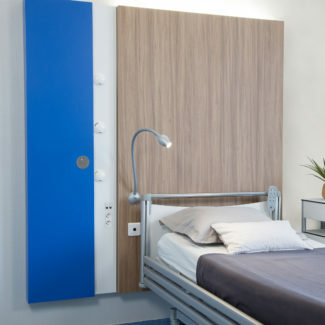 In addition, the sliding panel can be installed on the right or on left side of the patient according to the need, or both sides for a maternity room for example. 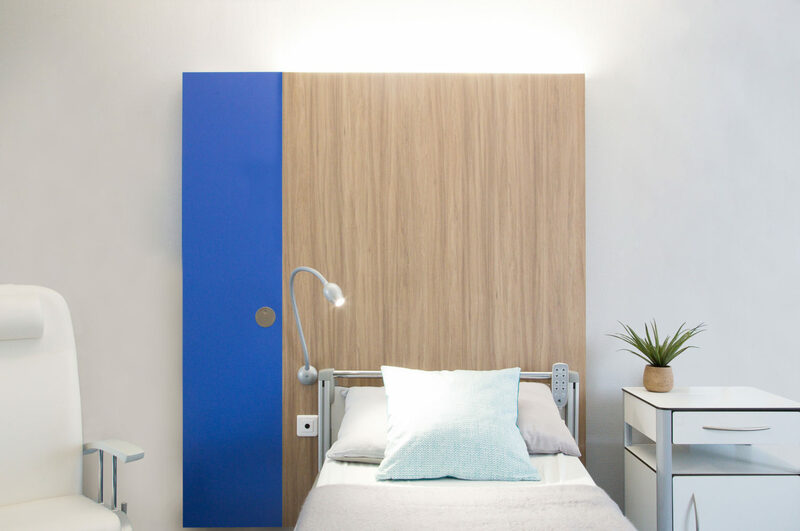 Depending on the needs, the GOODWOOD MOVE concept offers different LED lighting solutions: indirect lighting tray and reading spot FLEX-E LED, GOODLIGHT or LYSA wall lighting units. 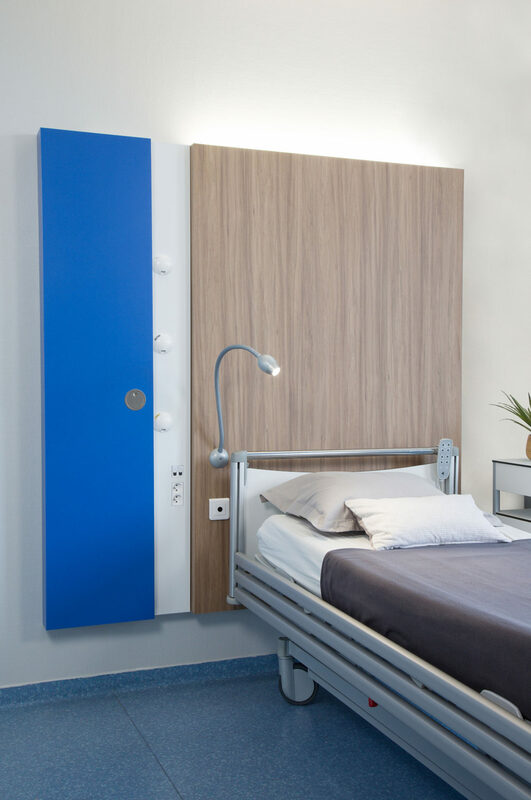 Medical gas outlets and low and extra low voltage equipment are hidden behind a sliding panel to give a hotel aesthetic to product.